Why are drug companies allowed to advertise their prescription drugs on television? Since they require a prescription, shouldn’t their advertisement be directed to physicians who could prescribe them? If they direct advertisement to prospective patients, why do we have doctors prescribe the medications? Is what we have now is the drug companies advertising directly to the public so that they will pressure the patient’s doctor to prescribe medication the doctor would not consider prescribing otherwise? WOULDN’T THOSE ADVERTISING DOLLARS BE BETTER SPENY ON R&D? Trump Nominates Merrick Garland for SCOTUS! In an attempt to extend an olive branch to the Democrats in a biparisan move, President Trump wants to nominate Merrick Garland to the Supreme Court. Trump is said to have quoted himself as saying “better late than never”, a saying he just made up. A furious Mitch McConnel has been quoted as saying that no such thing will happen in HIS Senate. He and the Republican majority has been bought and paid for by Mr. Putin, and they will not go back on their word. Democrats are suspicious and therefore are taking no action to move the nomination forward. FOX pundits are reviewing their scripts from Sinclair Broadcasting to determine if last minute changes have been made. NPR is reporting that the President will be making a nomination for the Supreme Court. Trumpsters are jubilant with the news that President Trump will be able to hold up yet another piece of paper which he has signed with his crayon/marker thereby proving that he is doing something. WallStreet is looking to make even more money in the whipsaw climate of the Trump Administration. Evangelicals are chanting AMEN from the pulpet and on television but declining to say what they are amening about. However, they are sure that God will forgive the President for his repeated unchristian acts. Mass burnings of the heretical WWJD posters, bracelets, pins and hats are being planed. In heaven, God hides his head in shame. The 98% are quietly sewing patches on their clothes and planning tasty meals around Ramen Noodles. Privatization’s dirty little secret is that it cuts out the end consumer. For example our city privatized it’s waterworks. Any complaints? Too bad. As long as the city manager is happy with his perceived savings, the public be damned. After all, the provider gets his money from the city; he owes the citizens nothing. Turn the electric utility over to the electric company, guess what? You get charged to pay your bill by credit card. When your politicians talk about “privatization” providing savings, ask them where the consumer’s voice is. The voters do not elect the board of directors of a company. Therefore, they have no voice. Unless you are my mother, grandmother, boyfriend, girlfriend, lover, spouse, or child, you should not be calling me or anyone else in a business situation “honey”. The reason is that unless you are in one of the those relationshhips listed above and are entitled to use that term “honey”, you are using it in a derogatory manner. It sounds like you are talking to a child not another adult or even more importantly a client. If I were to address any female employee by the term “honey” it maight be consider disrespectful if not “sexual harassment” in the work place. 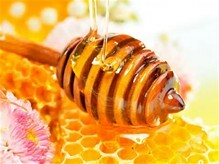 Because someone is in a less powerful position than you, it does not give you the right to call them “honey”. That is, of course, unless your intent is to make yourself feel important. In addition, the use of these terms is unprofessional. Thank you for giving this your consideration, Dearie.